The kitten cannon shoots out a big hairball and it also goes into rocket mode. 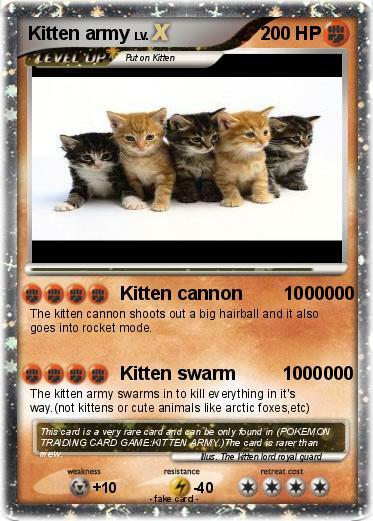 Comments : This card is a very rare card and can be only found in (POKEMON TRAIDING CARD GAME:KITTEN ARMY. )The card is rarer than mew.